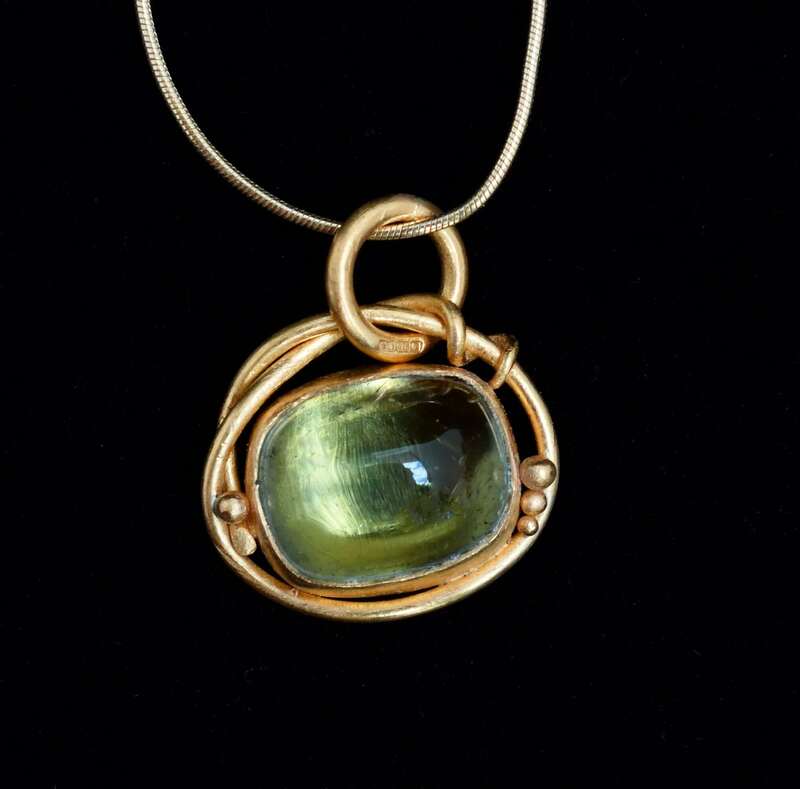 A very beautiful green cabochon tourmaline set in 22ct gold vine twist pendant. Small but dynamic. Approximately 2cm across.